The Steam Link App Streaming Coming Soon To iOS and Android! Is Valve Getting Ready For a Steam Handheld? 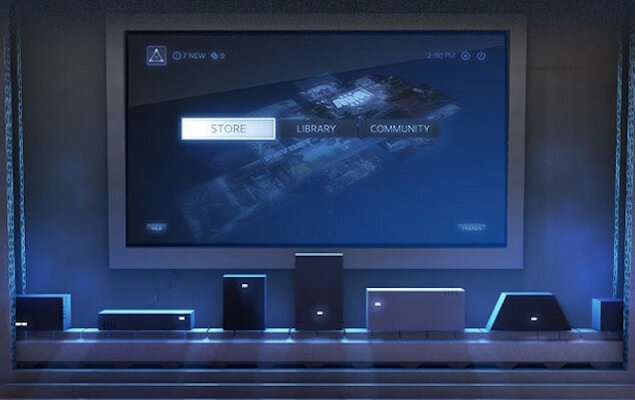 "The Steam Link app, slated to launch the week of May 21st, allows gamers to experience their Steam library of games on their Android (phone, tablet, TV) and iOS-based (iPhone, iPad, Apple TV) devices while connected via 5Ghz network or wired Ethernet to a host system (Mac or PC), with Android access initially offered in beta. The Steam Link App will feature support for the Steam Controller, MFI controllers, and more across both platforms." Is Valve Gonna Release A Linux Steam Handheld? With the Nintendo Switch doing so well and Valve founder Gabe Newell recently saying that they admire what Nintendo does as a company with hardware and software I wonder how closely they are looking at making a competitor to the Switch? Steam now has a bunch of native Linux apps, great controller support and now the ability to stream games that are not on Linux over wifi. Hardly, but it's fun to dream. Also, I have Apple TV I think now I don't need to have my Steam Link connected to my TV anymore. If the app is just as good this would free up an HDMI port and make everything a bit simpler. When the apps drop expect to hear a few things from me about them. Oh and they are also releasing a Steam video app so you can stream all your movies on your phone or tablet. Not sure i'd buy a movie on Steam but it's pretty neat anyway. What do you mean there? I’ve streamed plenty of non-Linux games over WiFi for years on the Link and in-home streaming before that. But yeah this is solid news. Though I doubt they’d make it easier to play games on the handheld devices you already have if they plan on making a handheld themselves any time soon. But as much as they’ve pushed the Link in sales (I bought a couple for five bucks a pop) and now this, they definitely want to make sure you can access your games easily. If they implement a way that you can play them over the Internet (like PS Now) and you aren’t tied down to your home network, you can play them anywhere. I definitely look forward to trying this on my AppleTV. That device is getting more and more useful. I already can’t imagine TV without it. > What do you mean there? I’ve streamed plenty of non-Linux games over WiFi for years on the Link and in-home streaming before that. Yeah, that was a bit odd there. I meant that Valve started with Linux ports of games and then they add in home streaming. At least I think that was the ordering there. So now they have a pretty good ecosystem to support a handheld built, if they want. Ah I see what you meant. The “now” was throwing me off. I wonder how they are going to allow you to use the Seam Controller on iOS? I thought it requires an attached USB dongle to your PC? They seem to indicate that you can. Maybe the Steam Controller hardware can do MFI with a firmware update? Yeah or the Steam Controller is bluetooth and they have the drive in the iOS app. Hmm. Given that it will work on the AppleTV, I will give it a try. If Bluetooth mode hasn’t made it out of beta for the steam controller, I wonder if my existing appletv game controller will work. The Valve announcement said they were going to support MFI controllers! Dammit Jon, you made me look up MFI. And Steam Link app isn't coming to iOS. The walled garden of Apple rears it's head. Hmm... with a company like Valve I’m hoping they can make some progress here. Surely someone high up the flagpole at Apple would talk to Gabe about it and figure out exactly what’s going on. I would love to know what business process they’re referring to. It should just be treated like a Remote Desktop app. Maybe they think it will eat into game sales on the App Store? It should be like that but I think that Apple is thinking that Valve runs a huge app store and that those games can now be played which might mean some games you might not buy on iOS which is partly true as some games are on both systems. That said, Apple should allow it anyway. It's hard to find any concrete info about this specific case but a theory is that the issue could have been that Apple doesn't allow any apps to be used to purchase digital content. Thus, you can't use the Amazon app to buy Kindle books, etc. But according to some sources, Valve disabled the ability to buy games when using Steam Link on iOS and resubmitted it so maybe something will come of that? Another steam link sale. $2.50 right now + $7.99 for shipping. I ended up just ordering one instead of waiting for the ios app. That’s a crazy deal. I wonder how much of a loss that is? Shipping is more than the price.